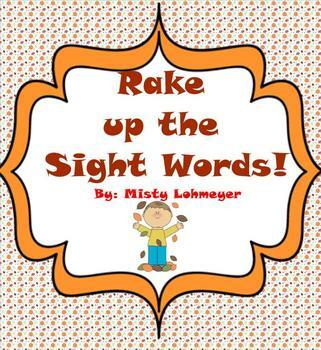 Rake up the Sight Words! 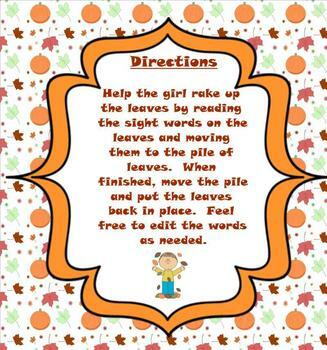 Motivate your students to read their sight words by getting them involved in this fun fall smartboard activity. 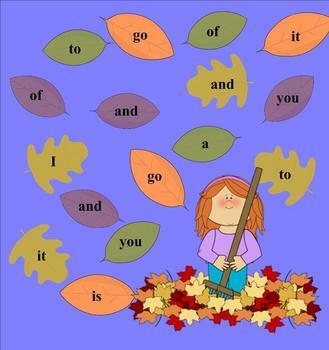 The students help rake up the leaves by reading the word on the leaf and moving it to the leaf pile. When finished, simply move the leaf pile and put the leaves back in place. Words can be edited to suit your classroom needs. This activity can be used in whole group and as well as learning centers. Students in Kindergarten, first and second grades will benefit from this activity. This is part of my holiday collection. Check out my download that contains a complete set of holiday/season smart board sight word games for the entire year! Thank you for looking at this activity. Please check out my other activities as well!